The popular online poker tournament series on the Merge network is back – only bigger and better than ever before with 35 events and $1.4 million in guarantees! The schedule for third Poker Maximus series – which will run from November 29th through to December 9th – has just been announced by Carbon Poker, and includes a wider variety of poker disciplines than its predecessors. Having listened to requests from players competing in the first two series, Poker Maximus III will include two Flop Limit Hold´em events, two Stud Poker events and four Pot Limit Omaha events in addition to two HORSE mixed poker tournaments. The feature tournaments in the schedule are the $109 buy-in Poker Maximus III Main Event which has a $150,000 guaranteed prize pool, and the $530 buy-in Hi-Roller Main Event which carries a guarantee of $200,000. However, there are two other “Main Events” scheduled for the climax of the series – a “micro” buy-in tournament ($11.00) which has a guarantee of $20,000 and a “low” buy-in Main Event ($55.00) which wraps up Poker Maximus III and guarantees a prize fund of $100,000. Running alongside the Poker Maximus poker tournament series will be a leaderboard competition with over $5,000 in addition prizes to be won. Players who perform well in the Poker Maximus tournaments will be awarded points based on the buy-in value of the tournament, the number of players that participate in the tournament and the individual´s finishing position. A bonus multiplier is also applied to players who make the final table of any event. In addition to the top ten players on the leaderboard winning cash prizes, unique Poker Maximus accolades will be awarded to players finishing in the top 100 leaderboard positions. Accolades appear adjacent to player´s avatars and having one which advertises you performed well in the Poker Maximus III series will strike fear into the hearts of players who join you at the table – well, you might get a little more respect than usual! No specific Poker Maximus satellites have yet been announced, but players who win tournament tickets or coupons in the tournament satellite games currently available on Carbon Poker will be able to use them to enter Poker Maximus events. 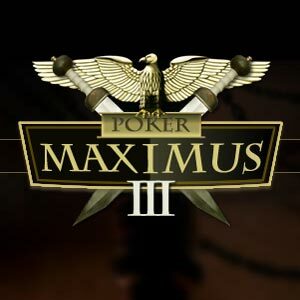 Players looking for undersubscribed satellites which offer the best opportunity to qualify for the Poker Maximus III Main Event should investigate some of the $11.00 turbo 1 re-buy tournaments which are hosted around 2.00am GMT (9.00pm server time). In some, as many as five x $109.00 tournament coupons are guaranteed, yet often no more than 30 players take part in the events! You heard it hear first, at www.CarbonPokerDownload.org! The schedule is obviously targeted to attract the maximum number of US poker players. The times quoted below are “server time” which is -5 hours GMT, so a tournament which is advertised to start at 19:00 will be kicking off at 3.00pm in Los Angeles, 6.00pm in New York, midnight in Paris and at 3.45am in Kathmandu (You can hear online Nepalese poker players complaining from here!). Poker room Carbon Poker have listened to their customers and put plans in place for their first tournament series, starting in March, which guarantees more than $1.5 million in prizes. Sunday, March 4, is the date to put in your diary, folks, as Poker Maximus kicks off then – with the poker website certain it will prove a great success with existing and new customers. However, satellites for the event, which runs until March 25, have already begun at Merge Gaming platform website Carbon Poker, but will still be available until Poker Maximus is completed. 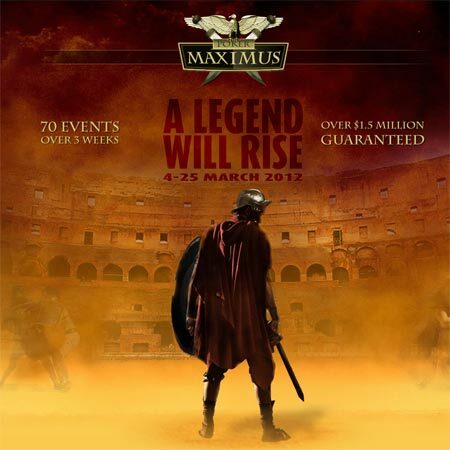 Clients who already have coupons for tournament entries can make use of them during the event, although satellite tickets specifically for Poker Maximus will have to be used between March 4 and 25. If you fancy – and can afford – direct entry into the $200,000 guaranteed No-Limit Hold’em freezeout main event, you’ll have to pay $109 for the pleasure, but satellites start from as low as $1.10 for tournaments throughout the series. Entrants will each start with 5,000 chips for an event that will begin with blinds at 10 and 20 and enforce 15-minute levels, while the winner is assured of picking up at least $50,000. Players making the top three in any of the events will also be rewarded with points that will ultimately lead to bonuses for topping the Tournament Leaderboard, while Carbon Poker will stage a Tournament of Champions competition, as well. Additionally, there is more than $25,000 in prizes on offer for the players who make the Tournament Leaderboard’s top 100 or take part in the Tournament of Champions. OK, now for some details of the other events. Beginning on March 4, Carbon Poker will provide at least three tournaments every day with buy-ins for daily tournaments starting at $1.10 up to $200. As well as the main tournament, a $215 buy-in High Roller will take place that guarantees at least $85,000 in the prize pool, while the $530 buy-in Poker Maximus Deepstack event is sure to be attractive with its guarantee of $100,000 in prizes. A nice little extra is the Players’ Choice tournament – which will see entrants decide how the event should be played. Meanwhile, Carbon Poker have made some changes to their satellites schedule by adding some new events. There are four new Winner Takes All events that are played out short-handed and as super turbos. A $1.91 entry will see the winner pick up an $11 coupon, while a $5.60 buy-in will reward the successful player with a $33 coupon. Then there’s the $10.19 super turbo that provides the winner with a $60 coupon and an $11.20 event that sees the last player standing pick up a $33 coupon. The $1.05 buy-in super turbo satellite supplies a $33 coupon for winners, while the $2.20 version possesses a $60 coupon for the victor. Finally, winners of the $60 and $33 buy-in monthly superstack freezeout satellites will get $530-worth of tournament entry coupons, with the equivalent coupons allowed to be used for entry to those two satellite events. Now, if you haven’t already signed up to this wonderful poker room, maybe you should get on over to Carbon Poker. The first-deposit bonus is normally $600, but we have got you a great deal that will ensure you’re bankroll starts off even healthier than you might have expected. Key in Carbon Poker bonus code CARBONPK and enjoy a 150% bonus of up to $750. Players in the USA should also note that Carbon Poker is once again available to them following the decision to upgrade their systems to cope with the massive influx of new players following the events of Black Friday last April 15. Along with all other Merge skins, Carbon Poker stopped accepting new US sign-ups on June 2 of last year, although those who had signed up before then were still able to play at the poker room. But now that’s all changed and one of the best poker websites around is once again open to all you American poker players looking for a new home. Click here to visit Carbon Poker Now!